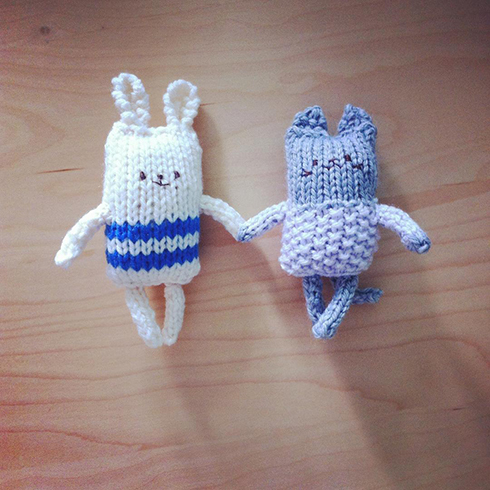 Had to make these anything animals :D I just love the seed stitch sweater! I even used both the sweater colour and fur colour on the cat’s arms, so they look like sweater sleeves. Hope you have a wonderful, crafty weekend, everyone!